At Nuvolution, we advance the work of nonprofits and social enterprises by connecting these organizations with the various resources they need to build a better world, and we need your help! To help cannabis-related social enterprises further develop their organizations and address and solve critical social problems within the cannabis community, our mission is to empower volunteers like you through networking opportunities, educational initiatives and community engagement. If you are a reliable, trustworthy, skilled and committed activist with a track record of professionalism and dedication and a burning desire to assist organizations and social enterprises at the progressive forefront, we want to hear from you! Celebrating a Lifestyle Evolution Through Building a Community That Empowers Volunteerism, Education & Cultivating Leaders. This is not a complete list. If you have any questions regarding who we recruit, please contact us. 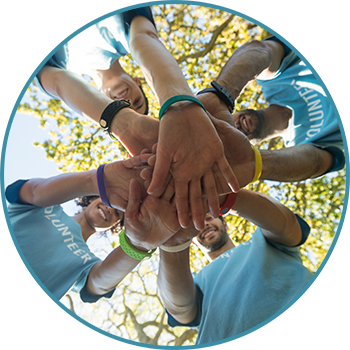 Our process of matching volunteers with non-profits and social enterprises provides accountability, and hold both parties responsible for fulfilling their role with honesty, integrity and respect. At Nuvolution, we consider the relationship between a volunteer and an organization to be a professional one, and we expect volunteers to apply the same level of dedication and professionalism to this process as if it were a professional recruitment for a paid position within a company or organization. You must possess the education, employment or volunteer history, skill sets and professionalism required to successfully advance the goals and missions of our partner organizations.